A vigorous conversation over the eastern stretch of the John Wayne Pioneer Trail sparks new opportunities to address local land owner interests and improvements to the trail for the long run. As has been widely reported, in September local officials in Tekoa learned of a legislative effort to close down a roughly 120-mile portion of Washington state’s largest rail trail, the John Wayne Pioneer Trail. The Trail, which follows the old Milwaukee Road railroad right of way, runs from just outside North Bend to the Idaho border. Much of this corridor (over 200 miles) is part of Washington State Parks’ Iron Horse Trail State Park. Following the initial news, many local residents and jurisdictions have voiced concern over the potential for permanent closure of this long-distance trail. The trail is significant as the longest rail trail in the nation. 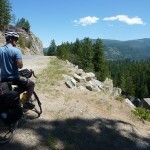 When developed, it has the potential to tie into numerous regional trail systems across the state, and to other states by connecting into Idaho’s 72-mile Trail of the Coeur d’Alene’s and the 15-mile Route of the Hiawatha, which continues into Montana. The stated reasons for closure have included concerns over a lack of use of the trail, worries about trespassing, and liability. Since early September, meetings, including a September 30 community meeting in Tekoa have been held to express concerns about the closure. The Spokesman Review published a thoughtful editorial against the trail’s closure, noting the Trail’s potential for expanding bicycle travel and tourism into many smaller communities in Eastern Washington. Washington Bikes is engaging with the many organizations, agencies, individuals, and elected officials involved in this unfolding conversation. Many parties are working to create a stakeholder process that incorporates the varied viewpoints and plans for the future of the John Wayne Pioneer Trail. Already, it is encouraging to see the many solutions that stakeholders have brought forward to address a diverse array of local issues and to enhance this incredible cross-state trail. 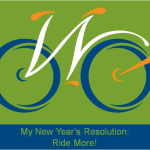 Washington Bikes look forward to further engagement with stakeholders to find mutually beneficial solutions and strategies that could include new partnerships, as well as new investments to develop and maintain the trail. This article was posted in Advocacy, Economic Impact, Funding/Policy, Issues & Advocacy, Legislature, News, Politics, Rural, Tourism, Trails, Transportation, Travel and tagged John Wayne Trail, Tekoa, trails. Bookmark the permalink. Follow comments with the RSS feed for this post. Both comments and trackbacks are closed. he Washington State Parks Department plans to announce meetings on the subject in future. State Parks Trails Coordinator Nikki Fields described their planned meetings as a series of three stages, with three meetings per stage. The first stage would be to lay out hopes and concerns, the second would delve into alternative ways of dealing with issues affecting the trail – and the landowners whose property it crosses – and the third, forming a preliminary recommendation to go to the Parks and Recreation Commission.